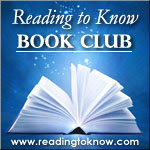 Time for the June edition of the Reading to Know Classics Book Club. This month's read is King Solomon's Mines and it was chosen by my dear friend Sky from Circus Caravan of My Thoughts on Things. She will be leading this month's discussion. Below is her introduction to the book. If I had to use one word to define what genre of books and film is my favorite it would be that word. H. Rider Haggard is one of my favorite authors. He, along with Robert Louis Stevenson, was a key author in creating, filling out and bringing to our imaginations the flamboyant, chivalrous, resourceful and honorable hero, the dashing idealist who rescues the helpless and strides out to seek adventure, wherever it may be found! 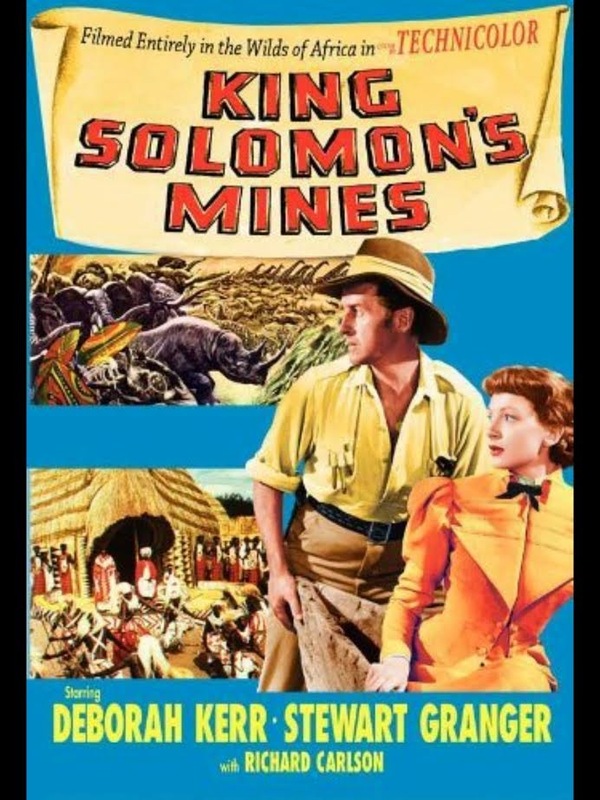 King Solomon's Mines is set in Africa, it is a first person account of the trails, tribulations and mysterious affairs during a rescue attempt. Our hero, Allan Quatermain, is hired to guide and help find a lost brother, who went after a treasure and never came back. Being a retired big game hunter who has spent time in the area in question, he is definitely the man for the job. He also happens to posses a map and a personal knowledge of certain legends regarding a diamond mine in the same area!Of course their trip is full of strange and exotic events, including but not limited to witchcraft, warring tribes and a hired man who isn't exactly who he says he is. Join me on one of the best adventures I've encountered and see with your own imagination, the plains of Africa, the bravery of the gentleman and the minds of men rotted by thoughts of treasure! starring Deborah Kerr, Stewart Granger and Richard Carlson is a fantastic film, they shot on location in Africa and the stark beauty of the land and people is just incredible! With that kind of introduction, how could you NOT want to join us this month? Note to Kindle readers: you can download it for free via Amazon. I'll be joining in (with a hardback version). Will you? Let us know in the comment section if you'll be reading along with us! I had to put it on hold at the library but will probably have it in hand next week. Can't wait! I'm looking forward to it and your description makes it sounds that much better! 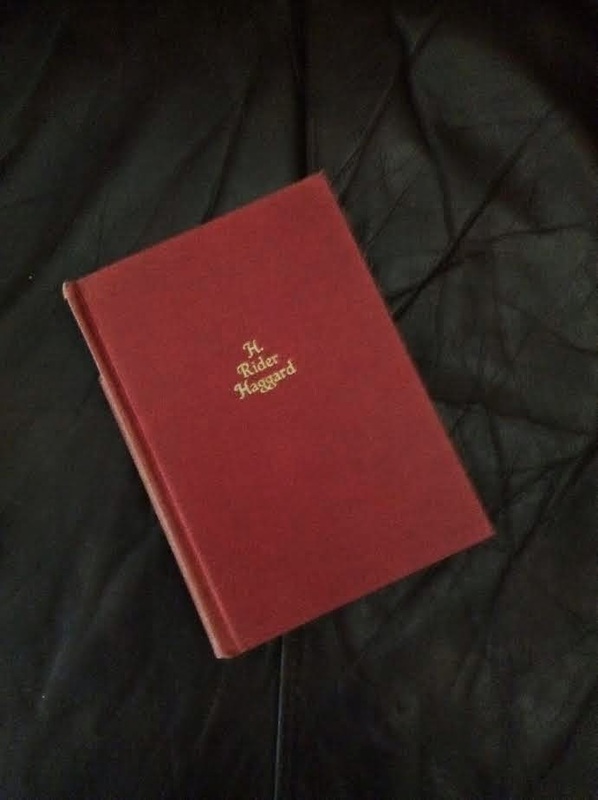 I read this several years ago. Looking forward to your comments on it. I didn't realize this book was an Allan Quatermain story! I loved those movies as a younger person. NOW I'm even more excited. I started listening to it last week (Is a hard start allowed?). I'm enjoying it so far! I'm reading along, even though I'm late in letting you know that I am. This is definitely NOT in my usual genre of reading, so it'll be fun to push myself a bit!